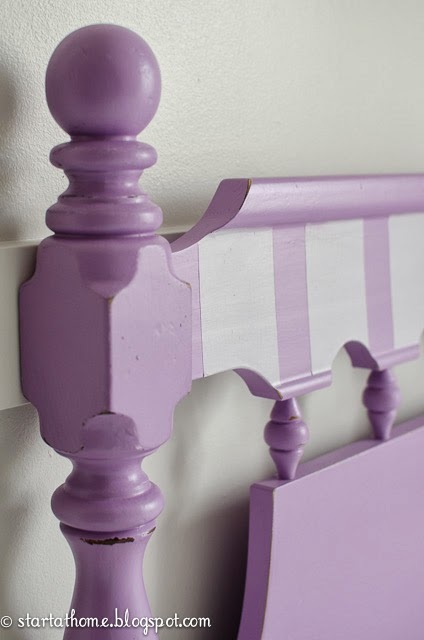 Lavender..one of my favorite colors. 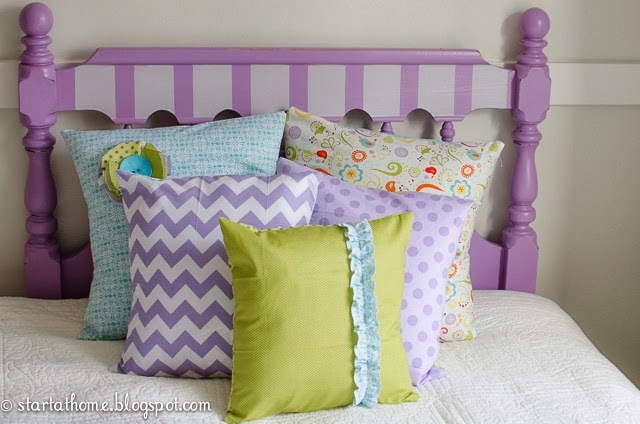 I have always been a fan of purples! My wedding was lavender and silver and at one time we had a very lavender bathroom, good thing my husband doesn't seem to mind the purple family! It makes me so excited to see lavender coming back into style it is so pretty don't you think!! 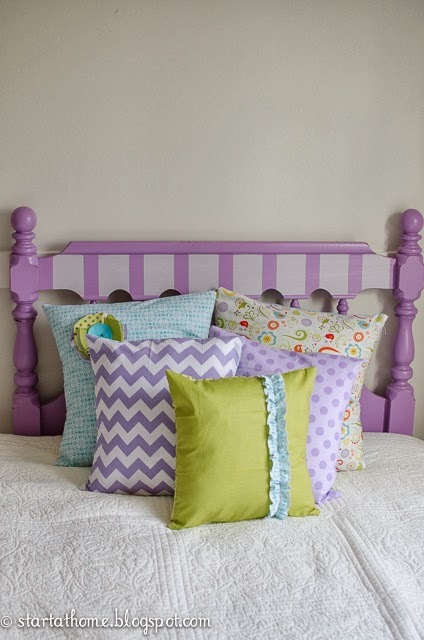 Pillows always add so much character to a piece. 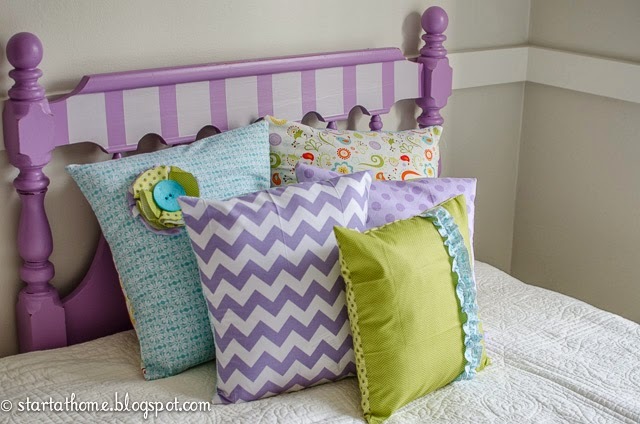 All these pillows are made out of designer quilting fabric with an envelope closure in the back. 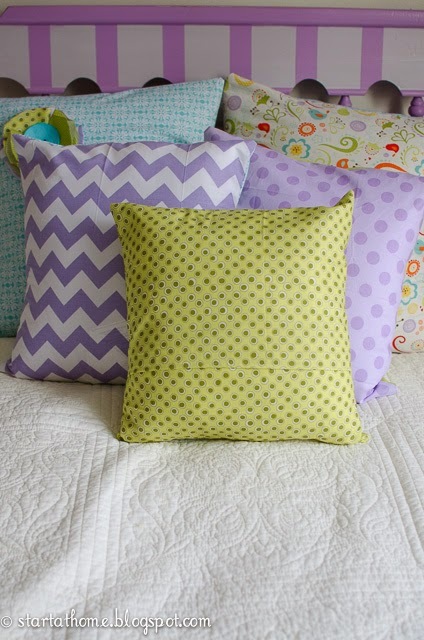 The large turquoise and bird pillow are 18x18, the chevron and polkadot ones are 16x16, and the center green one is 14x14 ! I added a few ruffles and a flower for a little added texture! What a fun adventure staging this house has been! When my friend/real estate agent Ryan Larsen contacted me on Monday about staging a house he had listed, I was a little hesitant to take on such a tall order. 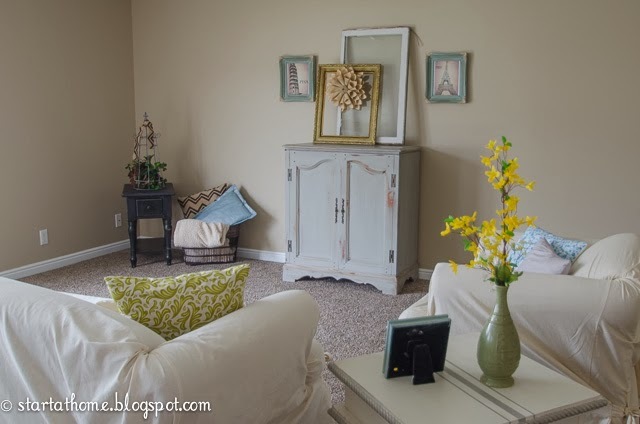 Staging an entire house.....eek! Fortunately for me I have an entire garage full of furniture and a few too many knick knacks floating around the house! After much thought I decided to take on this job. I knew it was going to be a lot of work, but hey why not! 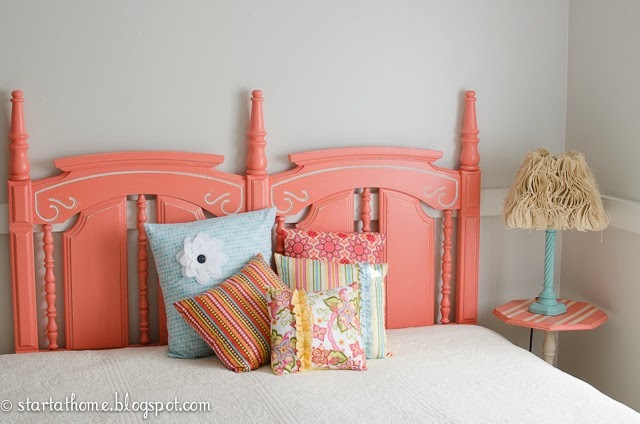 Coral Queen Headboard and MORE pillows! I seem to always start out a blog post with "I LOVE HOW THIS TURNED OUT" for some odd reason I can't think of a better way to say it! I LOVE HOW THIS TURNED OUT! I supposed it is a good thing I am selling things I personally love! Looky what I finally finished today! I have a cute little girl who comes and sands for me and helps me with whatever I may need help with for the day. 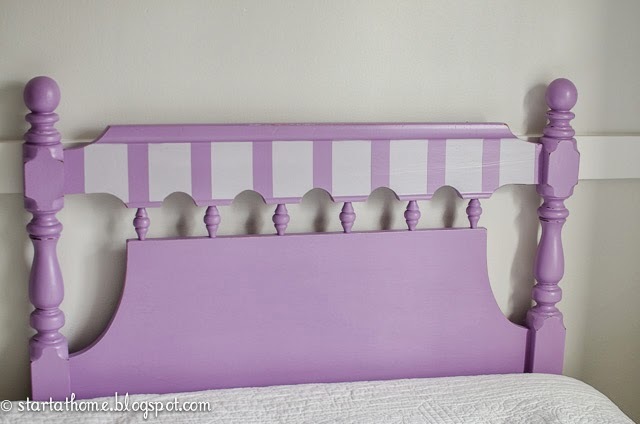 She LOVES fun bright colors and inspired me to paint this vintage bed a fun color. 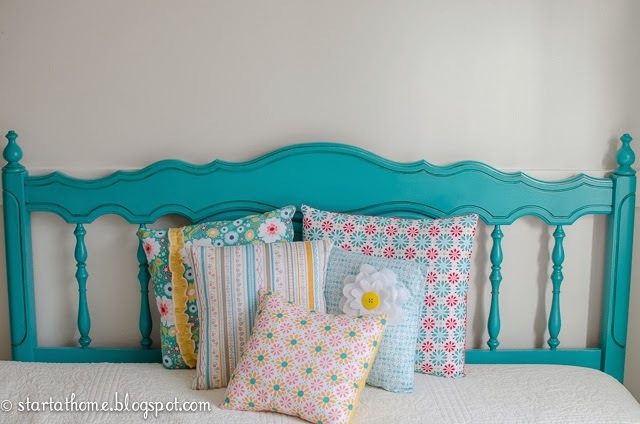 I am so glad she did as I love this bed in turquoise!